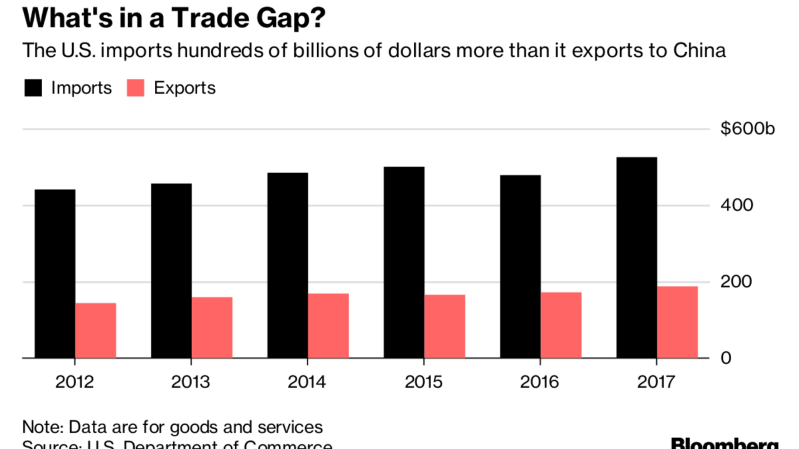 he Trump administration pushed ahead with plans to impose tariffs on additional $200 billion in Chinese products by releasing a list of targets, marking a sharp escalation in a trade war between the world’s two largest economies. [post_ads]The tariffs could take effect after public consultations end on Aug. 30, according to a statement from the U.S. trade representative’s office Tuesday. The proposed list of goods includes consumer items such as clothing, television components and refrigerators as well as other high-tech items, but it omitted some high-profile products like mobile phones. The Trump administration on Friday imposed 25 percent duties on $34 billion in Chinese imports, the first time the president has implemented tariffs directly on Beijing after threatening to do so for months. The first round of tariffs covered Chinese products ranging from farming plows to machine tools and communications satellites. In addition, the U.S. is considering separate duties on a further $16 billion in Chinese goods, after a public hearing later this month. China has vowed to retaliate dollar-for-dollar to any further U.S. tariffs. The president last month asked the U.S. trade representative’s office to identify $200 billion of Chinese goods that could be hit with 10 percent tariffs. Since then, the president has said his administration could impose duties on virtually all Chinese imports into the U.S.